The White House has issued a steady stream of commentary about how the U.S. economy is the best ever (not true) and how we have finally turned the corner from the slow growth of the Obama years (also not true). Sound analysis is often drowned out by political noise and ideological bias. The best way through the noise and bias is to look at hard data. The economy has been growing since June 2009, making this the third-longest economic expansion on record. However, it has also been the weakest economic expansion on record. That has not changed under President Trump. Average annual real GDP growth in this nine-year expansion is 2.14%. GDP growth in 2017, the first year of the Trump administration, was 2.3%, slightly above the expansion average. Meanwhile, GDP growth in the first quarter of 2018 was revised down to 2.0%, slightly below the expansion average. In short, growth under Trump has been almost exactly what it was under Obama. It’s true that the second quarter of 2018 looks stronger, at 4.1%. It’s the highest reading since 3Q 2014. But we’ve seen that movie before. Even during Obama’s weak expansion we saw strong quarters including the first quarter of 2015, which was 3.2%, and the second quarter of 2015, which was almost 3%. The problem is that these strong quarters soon faded; growth in the fourth quarter of 2015 was only 0.5%, almost recession level. And the strong second quarter in 2018 may be the result of temporary factors arising from the Trump tax cuts. Those factors will soon fade and return growth to the same punk levels we’ve seen for nine years. I just mentioned recession. 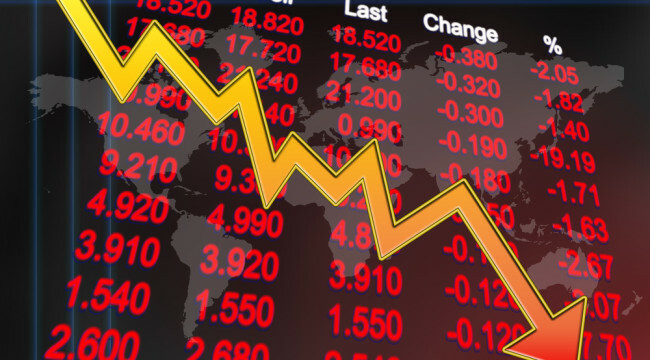 Most investors are familiar with the conventional definition of an economic recession. It’s defined as two consecutive quarters of declining GDP combined with rising unemployment and a few other technical factors. But investors may not be as familiar with two other aspects of recession timing. The first is the exact body that makes the determination, and the second has to do with the timing of that body’s announcements. The group that “officially” decides when the U.S. economy is in a recession is called the National Bureau of Economic Research (NBER) based in Cambridge, Massachusetts, although there’s nothing official about what they do. NBER is a private nonprofit think tank that receives substantial input from scholars at Harvard and MIT, but it is not a government agency. Their decisions on the start and finish of recessions are not technically “official,” but they are widely accepted by Washington, the Fed and Wall Street. Less well known is the fact that recessions are not called by NBER until well after they have begun. In this respect, NBER looks backward at the data rather than forward like a forecasting firm. On occasion, the NBER might not identify the start date of a recession until nine months or a year after the recession began. By that method, the U.S. could be in a recession next month and we would not know about it until a year from now when the data were all in. But analysts, myself included, have to look for signs of a recession wherever they can find them and not wait for NBER to make its determination. For example, pending home sales have dropped five months in a row. That is not by itself a definitive sign of a recession, but it’s certainly a worrying trend. Many other signs are appearing on the horizon also as the Fed continues to raise rates and destroy money by reducing their balance sheet. There is the U.S. student loan debacle to consider, with over $1.5 trillion in outstanding debts and default rates approaching 20%. Junk bond defaults are also becoming a serious issue that could spread like a contagion. There are many other warning signs. I’ve said previously that a recession is extremely likely before the end of 2020. But we could actually be entering one already. Don’t be surprised if we wake up a year from now only to find the NBER says the recession began in July 2018. Investors need to be ready today for this possibility. Meanwhile, so many credit crises are brewing, it’s hard to keep track without a scorecard. The mother of all credit crises is coming to China with over a quarter trillion dollars owed by insolvent banks and state-owned enterprises, not to mention off-the-books liabilities of provincial governments, wealth management products and developers of white elephant infrastructure projects. Then there’s the emerging-markets credit crisis, with Turkey and Argentina leading a parade of potentially bankrupt borrowers vulnerable to hot money capital outflows and a slowdown of growth in developing economies. I haven’t even mentioned trade wars and the very real possibility of shooting wars, particularly with North Korea, China, or Iran. In fact, reports have now surfaced about the possibility of an impending U.S. attack on Iran. Australia’s ABC reports the U.S. is preparing to strike suspected Iranian nuclear facilities as early as next month. But maybe you’re asking yourself, how on earth would Australia know that? Well, Australia is part of the “Five Eyes” global intelligence system that includes the U.S., Canada, U.K., New Zealand and Australia. It’s entirely plausible that the story has some credible basis. We’ll see, but this is a story to keep an eye on going forward. The point is, there are many potential economic and geopolitical trouble spots on the horizon. With weak growth continuing and more Fed tightening in the cards, a recession is far more likely than a return to long-term trend growth. Basically, the stock market seems to agree since it peaked last Jan. 26 and has gone nowhere since then. My advice to investors is to look past all the political rhetoric and happy talk coming out of Washington and the mainstream media. To get a sense of what’s ahead, you might want to take a look at sovereign wealth funds. Sovereign wealth funds are set up by governments to invest their hard currency reserves. The sovereign wealth funds are the largest investors in the world. They’re at the top of the pyramid of power. That means they have better information, earlier warning and the first chance to get in or get out ahead of the crowd. What are they doing now? Many sovereign wealth funds are sounding the alarm, reducing equity exposures and increasing their allocations to cash. Here’s a chance for the retail investor to keep up with the big money by doing the same thing — reduce your exposure to equities and increase your allocation to cash, as well as gold, silver, land and other hard assets.